Starting my next project: Neverborn – Lilith Mother of Monsters. So, it finally happened. 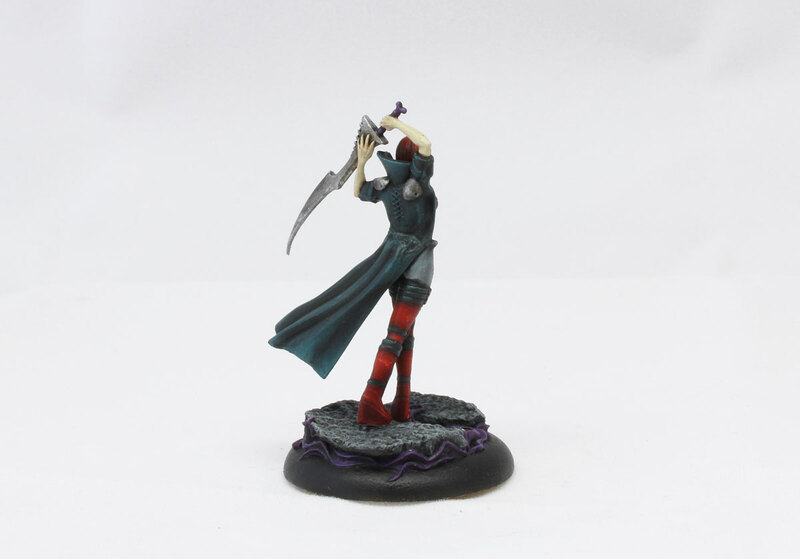 I began my another project – Malifaux. I plan this to be my next big thing next to Infinity. I want to finish painting all necessary models to play both games till the end of September. All because I’d like to play tutorial game of Malifaux and Infinity before I depart to Australia and Asia. Hopefully I will be able to pack enough miniatures to play with some gamers met on the road. And the beauty of all skirmish games – I don’t need many models to play. Perfect for travelling. Last week I’ve painted Infinity Reverend Custodier from Nomads – Bakunin Jurisdictional Force. Awesome experience. Made me want abandon painting Games Workshop for a while. So different – both with style and sculpt. Miniature is so thin and have lots of details. Simply piece of art. I was about to paint another model from Infinity – Moderator with spitfire. I even cleaned and primed it. …and then I looked at my recently rearranged shelf with my boxes full of miniatures. And I saw ‘Malifaux’ sign on one of them. Just one week ago I met my old friend and we had few beers. Right now he’s huge fan an promoter of Malifaux and I all his stories and persuasions made me hooked in… We arranged a meeting in September – I will get few games to learn to play. ..but back to Malifaux. I’m not going to elaborate here about Malifaux. 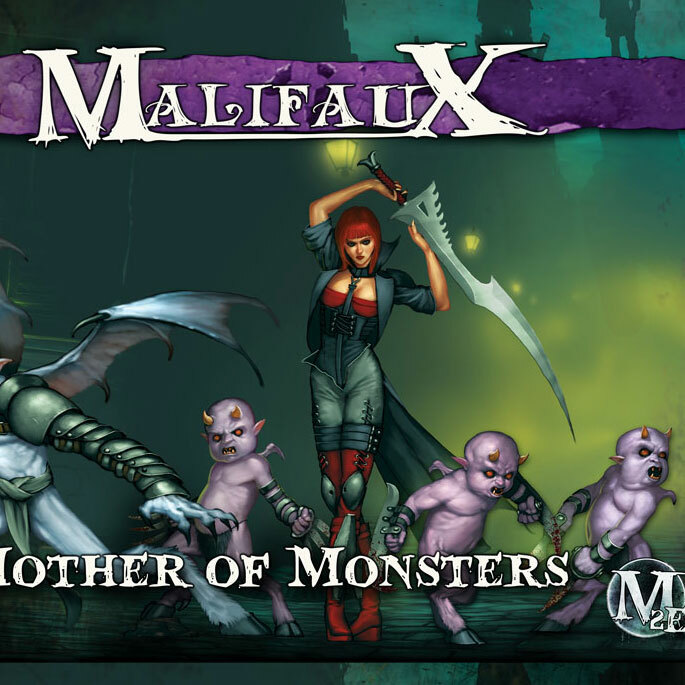 Everyone know Malifaux, or at least should be aware of its existence. In my opinion it’s amazing game. Maybe the story of city of Malifaux and The Breech is not entirely my cup of tea (I prefer hard SF or Fantasy) and I can’t say anything about the rules yet – not before I play few games, but miniatures… OMG they are so cool! So many styles combined – western, monsters, daemon, mad scientists, ninjas…and there’s are way more in Malifaux. Everybody should find something interesting. For me, at least for the start, it was Neverborn faction. Neverborn have few great masters – The Dreamer boy and his horrifying nightmares, or Pandora with Candy girl and Poltergeist, or Lilith, Mother of Monsters. All super awesome and hard to choose. 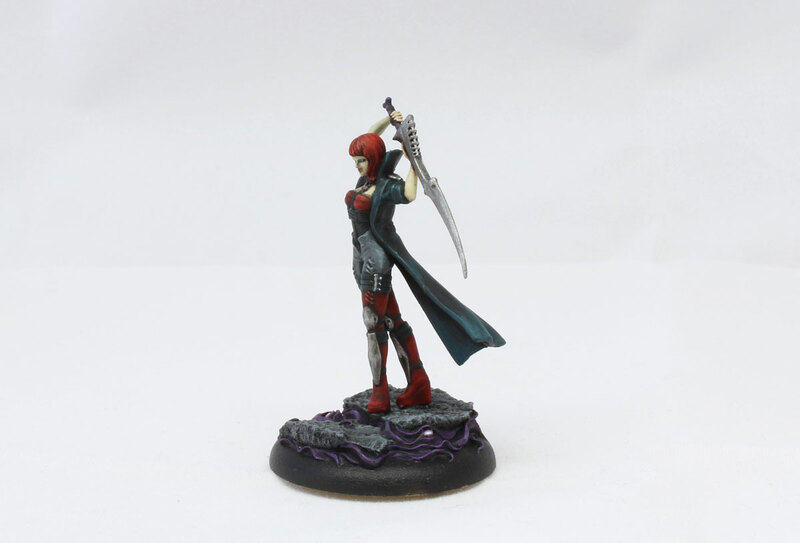 Of course I needed to some miniature to begin with, I started my collection with Lilith. 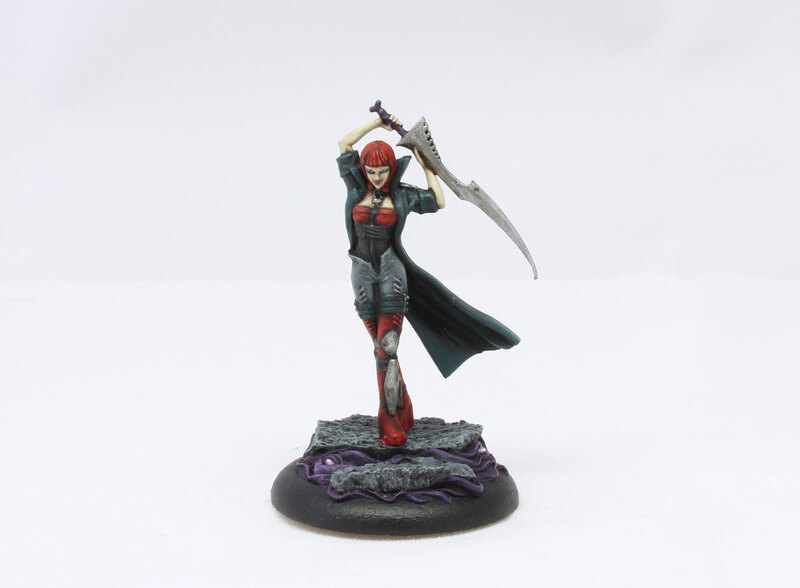 Lilith, mother of Monsters is real leader of Neverborn, original habitants of Malifaux. Her sworn duty is to get rid off the humans, and push them back trough the breech. Difficult, or even impossible to be achieved. There are too many humans in Malifaux right now. Way too many. But Neverborn are don’t give up – Nephlims, Terror Tots or Weldgeists are ready to support Lilith in her efforts. When I was painting Lilith, I tried to use colours form the Lilith box set front illustration. Generally dark clothes, with few red elements and definitely red hair. And I mean bright red. Take a look. I made her red hair little bit darker than on the box. I think it suits more to my painting style. The base is Micro Art Studio resin Possessed round Base. …and what now? I can’t wait to paint some more models from Lilith’s box set – next in line – Terror Tots, Cherub and Barbaros. Soon I will order some other minis of Neverborn – I like ‘No Shelter Here’ box set with Pandora and Candy the spooky girl (awesome model). Beside that I owe already few other minis – Doppleganger, Beconers and Nekima, I will try to arrange some crew to play some simple tutorial game in couple of weeks. The problem is I want to start Infinity as well, so I will have to juggle between these two systems and get the balance. My plan: to start to play Infinity and Malifaux in 3-4 weeks, and slowly from that point extend the number of available painted models to choose from. Step by step…and I can’t forget I need few Skaven models to be finished and not to mention – already started Blood Angels Terminators. All in good time. Great painting. I like the way you’ve so neatly matched the art from the box. Malifaux is a really fun game to play; it differs from many wargames in that killing everything is not always the objective. Indeed, it is possible to get tabled and still win. thanks. I was told the same:) Schemes can differ the tactica…I can’t wait to play M. finally. I think in 2-3 weeks I’ll finish enough models to play. So cool, nice job mate! I really like that you kept so close to the box art, she’s a beauty! Looking good! Malifaux has gotten a few of my friends hyped up to play all of the sudden, me in particular! I’m rolling with Ten Thunders!